Volunteer Land Steward Program assists in forest, prairie and wetland management and restoration work. The DeKalb County Forest Preserve Land Stewards meet every Wednesday morning at forest preserves to work on a variety of forest, prairie and wetland restoration projects. ( 1/2 mile east of downtown Sycamore). Meet behind Walmart in Theater parking lot near trail. 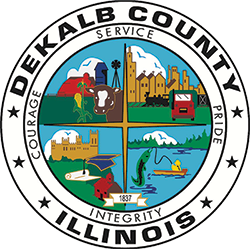 For information about these volunteer opportunities or the DeKalb County Forest Preserve District call 815-895-7191 or visit the website for updates.